In its latest move to greener ships, Royal Caribbean has confirmed orders for the first two of its new “Icon” ships from Meyer Turku. For delivery in 2022 and 2024, the new ships will fall somewhere between the “Oasis” class and the “Quantum” class ships in size. Disney Cruise Line, meanwhile, has announced new sailings to Quebec and Bermuda, both new for the line. The 1,754-berth Disney Magic will be used to open up both of these new destinations in the autumn of 2018. And finally, after christening the AmaKristina last week, AmaWaterways announced that it would build Europe’s largest river cruiser, to be called AmaMagna, for delivery in 2019. In an agreement that could to be worth up to two billion Euros, Royal Caribbean Cruises has confirmed its order for two major cruise ships from Meyer Turku, first announced last September. With about 5,000 lower berths, the vessels will be be among the largest cruise ships in the world and will operate for Royal Caribbean International. At 200,000 gross tonnes, the new liquefied natural gas (LNG)-powered “Icon” class ships will be smaller than the “Oasis” class but larger than the “Quantum” class. The biggest of the “Oasis” class trio, Harmony of the Seas, measures 226,963 gross tons and can carry 5,479 passengers in lower berths. The “Quantum” class ships measure 168,666 tons and feature 4,180 lower berths. As well as being LNG-powered, these new fourth-generation cruise ships will feature a number of other innovations, including a fuel cell-based power generating system, designed to reduce greenhouse gas emissions. The vessels are scheduled for delivery in 2022 and 2024. Another “Oasis” class ship is due in 2018 and Quantum sisters are expected in 2019 and 2020. 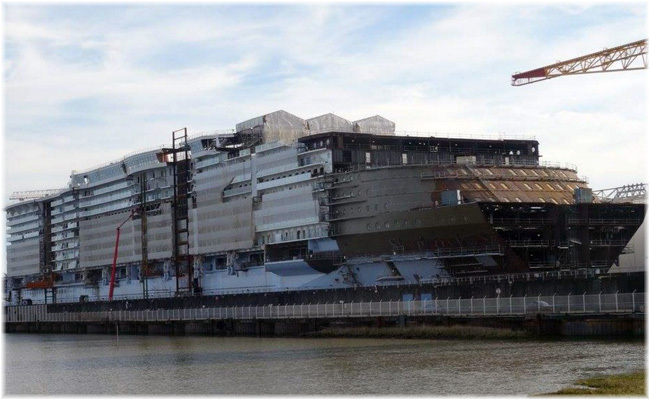 The next new ship to be delivered will be the Symphony of the Seas, an “Oasis” class ship. Another “”Oasis” class ship will follow in 2021 and the first of the “Icon” class vessels in 2022. On entering service in April 2018, the Symphony of the Seas’ summer itineraries will include Mediterranean cruises to ports such ports as Barcelona, Palma de Mallorca, Marseilles, La Spezia, Civitavecchia and Naples. With twenty-eight more staterooms than Harmony of the Seas, the Symphony will become the world’s largest cruise ship. Royal Caribbean International will carry five million cruisers this year, up 5% on last year and 30% on 2014. Meyer Werft is also building three liquefied natural gas-powered cruise ships for Carnival Corp & plc. Two of the next-generation cruise ships will be built at its shipyard in Turku. Following last week’s christening of the new AmaKristina, AmaWaterways has announced a new river vessel for delivery in 2019 that will be the largest in Europe. 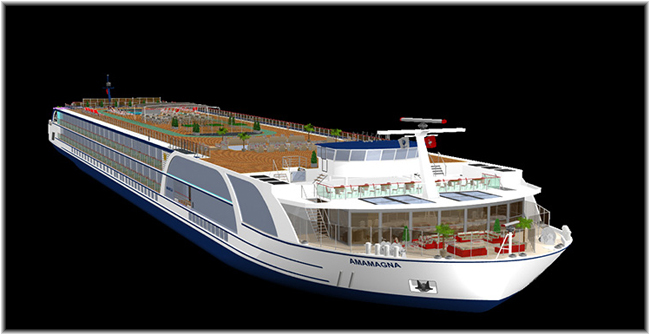 To be named AmaMagna, the new vessel will cruise the Danube. The AmaMagna will have the same length, height and draft as the line’s other vessels, but at 75 feet she will be twice as wide, allowing for larger cabins, most at about 300 sq ft, and a capacity for 194 passengers. The new ship will feature ocean-style cabins, multiple dining venues, including outdoor dining, a lift that goes to the top of the ship, a heated top-deck pool with bar, more entertainment and spa offerings and a water sports platform with zodiacs and canoes. AmaMagna will be built by the Vahali Shipyard, and powered by a hybrid of diesel and electric engines. In total, there will be ten engines, of which four will be used for propulsion, and if more power is needed, electric engines will be available. 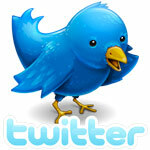 Fuel savings are expected to be on the range of 20-25% compared to earlier technology. Construction began in March at Vahali’s headquarters in Belgrade. When the hull is completed, the vessel will be finished at the company’s facility in the Netherlands. Because its size will prohibit it from being towed to Holland, it will instead be taken by heavy lift cargo ship from the Black Sea. Magna means large of course and this is the first time a cruising vessel has taken this style of name since Chandris Cruises’ 32,360-ton Regina Magna in the 1970s. Formerly North German Lloyd’s North Atlantic liner Bremen, this ship cruised both from Southampton and around the Mediterranean. AmaMagna is the second of two new ships ordered for delivery in 2019. AmaMora, a near-sister to the AmaKristina, will sail on the Rhine. In the autumn of 2018, Disney Cruise Line will sail new itineraries to new ports, including first-time visits to Quebec City and Bermuda. The line is planning overnight stays at both ports in order to enhance their calls at two of cruising’s most popular destinations. Quebec City, a new port for Disney, will be featured on two new itineraries sailing between New York and Quebec City. Both of these sailings, to be undertaken by the 1,754-berth Disney Magic, will include two full days in Quebec as well as stops at other Canadian ports new to Disney Cruise Line, at Saguenay and Baie Comeau. The two seven-night Disney Magic cruises between New York and Quebec City will depart in September 2018. 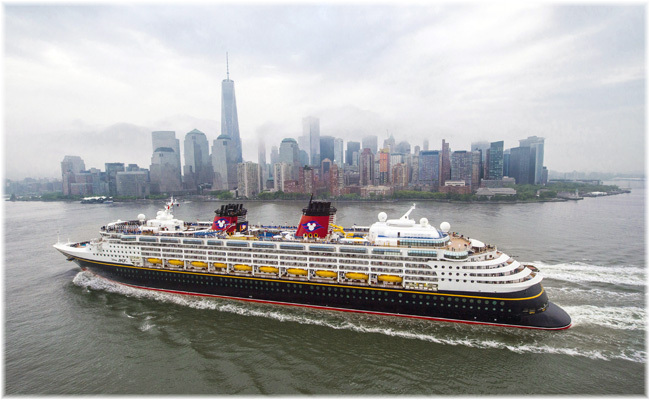 In October, in another first for Disney, the Disney Magic will sail from New York to the chain of coral islands located in the Atlantic and called Bermuda. Each of the five-night sailings will include two full days in Bermuda, while a special six-night sailing will include three days there. Bookings for these new Bermuda and Quebec cruises open this Thursday.